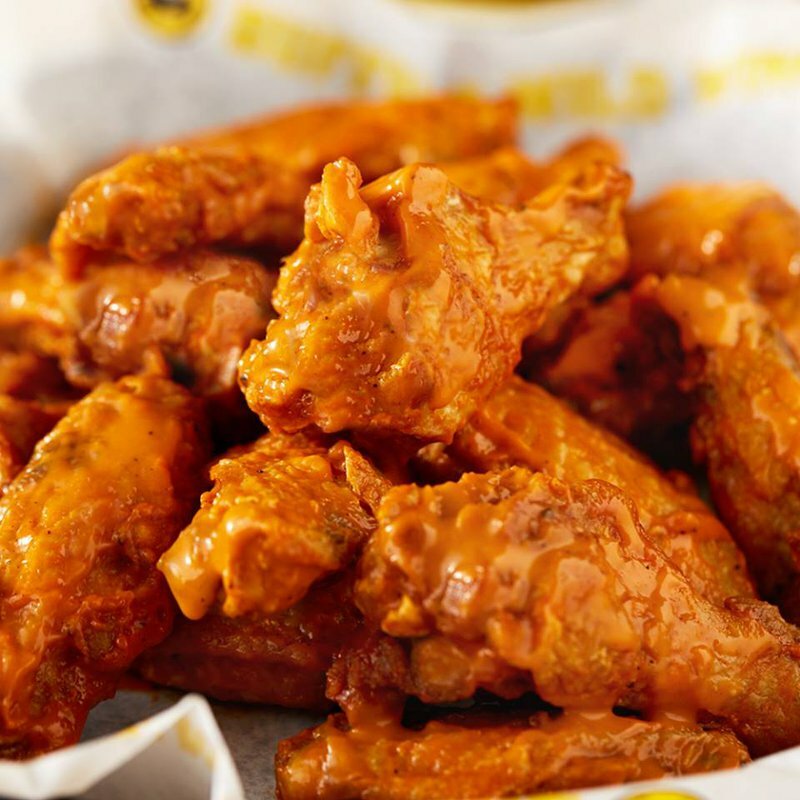 Buffalo Wild Wings in Oklahoma City is a sports bar above all else, serving up delicious New York-style chicken wings and more. 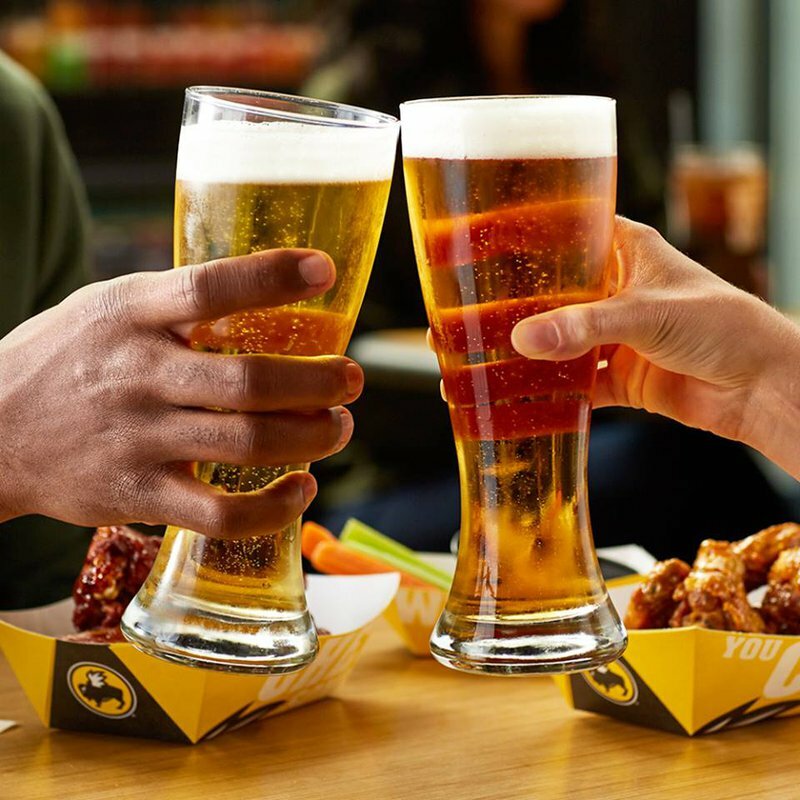 Stop by with friends or family to watch the big game or just to enjoy lunch or dinner. A variety of wines, beers and specialty cocktails are offered so you can enjoy your favorite drink. Appetizers like nachos, roasted garlic mushrooms or spinach artichoke dip are a nice way to start your meal. 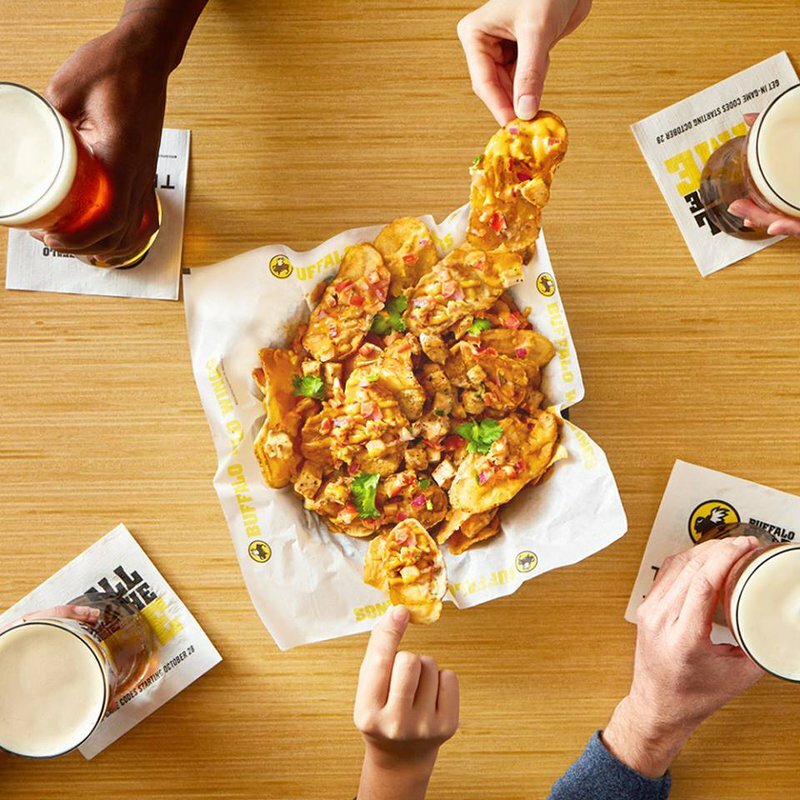 Try the Buffalo Wild Wings traditional chicken wings or go boneless. Choose from more than ten sauces or a handful of seasonings to add a flavor punch to your order. 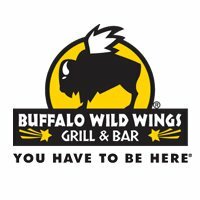 Salads are offered at Buffalo Wild Wings, from grilled blackened chicken to honey barbecue chicken. Wraps and sandwiches are also offered at Buffalo Wild Wings. Don't forget about sides: fries, onion rings, coleslaw, potato wedges and side salads will complete your meal. If you're in the market for red meat instead of chicken, try one of the burgers. A classic cheeseburger, bleu cheese burger or juicy steak burger will really hit the spot. Grilled, glazed ribs are among the tasty options at Buffalo Wild Wings, and can be enjoyed on a combo meal with chicken tenders, popcorn shrimp or chicken wings. Kid's meals are also offered at Buffalo Wild Wings. Dessert is a tasty treat, with options like ice cream and chocolate fudge cake. Located on NW Expy 1 block west of 63rd St.